“Acadia, The Badlands and Other National Parks” featured at Museum’s Nature Art Gallery in Feb.
(RALEIGH, N.C.) — Driven by a 2017 resolution to “do something better,” wildlife photographer and outdoors columnist William Howard set off to capture images of the country’s National Parks. The results of the Wilson, N.C. native’s year-long quest are featured in “Acadia, The Badlands and Other National Parks,” on exhibit at the North Carolina Museum of Natural Sciences’ Nature Art Gallery Feb. 2–25. A Gallery reception for the artist will be held Saturday, Feb. 3, 2–4 p.m. All exhibited art is for sale. 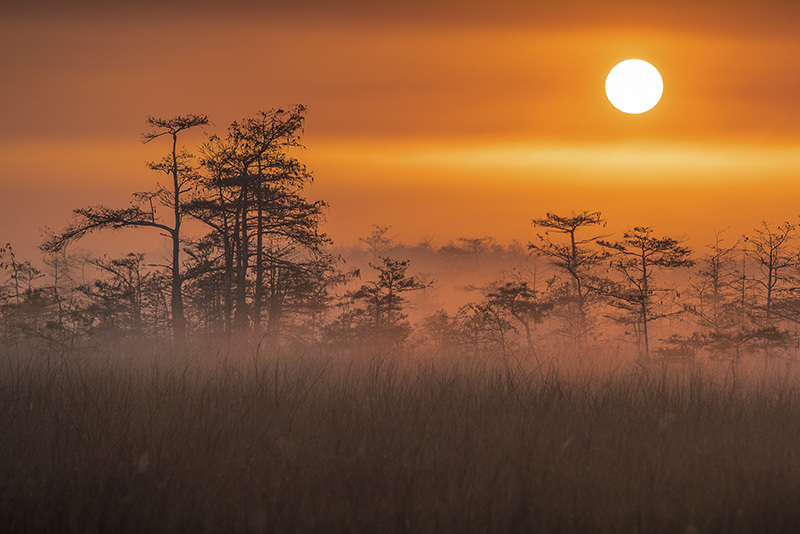 Howard has won several photography awards, with his “Everglades in the Mist” image garnering overall wins in several competitions, including one with Outdoor Photographer magazine. The social media website Reddit ranked the image as one of the top 100 nature images in its group all-time. When he is not looking for the next landscape photograph, Howard occasionally shoots photos for the NC State Men’s Basketball team or travels throughout the country for his next assignment.